Soils under pastures suffer physical modifications, in greater or lesser intensity, via the action of animal trampling. Thus, the aim was to evaluate the spatial dependence of soil physical attributes under bovine trampling. The trial was performed at Roçadinho Farm, Agreste of Pernambuco, Brazil, in a 40 x 40 m paddock that was managed with continuous stocking by bovines and 12 AU ha-1 stocking rate. Soil samples were collected before and after grazing using a 6 x 6 m grid, totaling 36 sampling points. At each point, the bulk density, total porosity, moisture, soil penetration resistance at 0.00 - 0.10, 0.10 - 0.20, and 0.20 - 0.30 m depth were estimated, as was the hydraulic conductivity on the saturated soil surface. Descriptive statistics and geostatistics supported the data analysis. A normal distribution was verified for all variables, which were scored as either low or high variability in terms of the variation coefficient. The physical attributes (density, total porosity, moisture, soil penetration resistance and hydraulic conductivity) of the soil sampled presented a strong spatial dependence before and after grazing. compaction soil; geostatistic; girolando; grazing; ordinary kriging. Empresa Brasileira de Pesquisa Agropecuária [EMBRAPA]. (2011). Manual de métodos e análise de solo (2a ed). Rio de Janeiro, RJ: Centro Nacional de Pesquisa de Solos. Gamma Design Software. [GS+] (2012). Geostatistics for the environmental sciences. Plainwell, US: Gamma Design Software. Golden Software (2010). Surfer for windows version 9.0. Colorado, US: Golden. Reichert, J. M., Reinert, D. J., & Braida, J. A. (2003). Qualidade dos solos e sustentabilidade de sistemas agrícolas. Ciência & Ambiente, 14(27), 29-48. Soil Survey Staff. (2017). Soil survey manual (USDA Handbook 18). Washington, D.C.: Government Printing Office. Stolf, R. (1991). 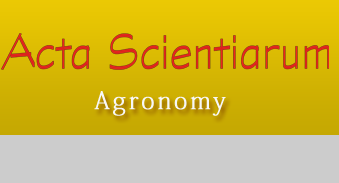 Theory and test of formulas for transforming impact penetrometer data in soil resistance. Revista Brasileira de Ciência do Solo, 15(3), 229-235. Torres, J. L. R., Rodrigues Junior, D. J., Sene, G. A., Jaime, D. G., & Vieira, D. M. S. (2012). Penetration resistance in area of pasture tifton influenced by trampling and irrigation. Bioscience Journal, 28(1), 232-239. Vieira, S. R. (2000). Geoestatistica em estudo de variabilidade espacial do solo: In R. F. Novais, V. H. Alvarez V., & C. E. G. R. Schaefer (Ed. ), Tópicos em ciência do solo (p. 1-55). Viçosa, MG: Sociedade Brasileira de Ciência do Solo. Warrick, A. W., & Nielsen, D. R. (1980) Spatial variability of soil physical properties in the field. In D. Hillel (Ed. ), Applications of soil physics (p. 319-344). New York, US: Academic D.
Zape Digital. (2001). Zoneamento agroecológico de Pernambuco (Embrapa Solos. Documentos, n. 35). Recife, PE: Embrapa Solos.